This machine is suitable for eyelets of 8 to 66mm. Manual process. 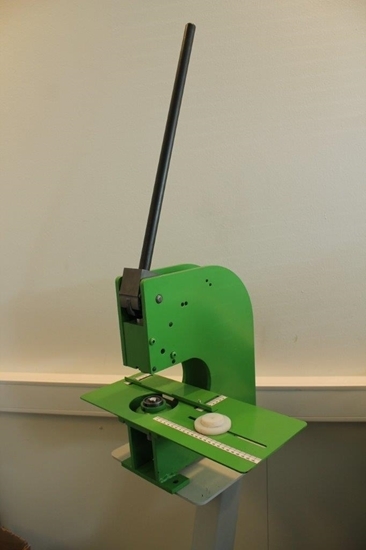 The Stronghold M66 is a professional manual Eyelettingmachine. This hand press makes the hole and places the eyelet in one operation. The machine is suitable for eyelets of 8 to 66mm. StrongHold Eyelettingmachines are manufactured in Europe. The machine has a steel frame (not cast iron) and is built very solidly with hardened components. The machine is equipped with depth and length guide. The workable materials are: PVC, textiles, leather, etc..